Biotics are now mostly useful to attack targets that have been stripped of their heavy defences (shields, barriers, heavy armour). However our rules allow for a bit of additional leeway against targets with very weakened heavy defenses. The telekinetic effects are thus markedly less useful at the higher difficulty levels in the video game, where many opponents sport heavy defenses or even layered heavy defenses. The “default” universe is probably that of the Normal or Veteran difficulty, where opponents with heavy defences tend to be “squad leader” types, not ordinary squaddies. Examples are a shielded Eclipe engineer leading a half-dozen unshielded troopers, or an armoured Krogan leading a small group of Vorcha raiders. Cut scenes, comics and novels display biotics in a manner somewhat different than in the game itself. This was also the case in the first Mass Effect, where as discussed in our article there are references to telekinesis to manipulate objects rather than just attack and defense powers. Jack using her biotics to immensely enhance the force of her punches, and possibly increase her running speed. She can wreck several YMIR-class mechs with her punches, though one assume these must have been security models rather than military ones and their shields weren’t up. In Mass Effect : Redemption, Liara also prefers to fight hand-to-hand, though this is in situations where meleeing in their midst is a good way to avoid getting shot by numerically superior opponents. She’s clad in a biotic aura that greatly enhances the strength of her punches and seems to increase her speed, jumping ability and acrobatic agility – much like Jack during her escape on Purgatory. This maneuvering aspect is also present in a cut scene where the Justicar Samara leaps from a height and biotically guides her fall/glides to hit the ground running. This and the charge ability used by a few powerful biotics fighters (the Asari Spectre Tela Vasir, and Shepard if playing Vanguard) reinforces the notion of biotics making jump that resemble flying, and landing safely from most heights. In the character-specific cut scenes, none of the most powerful biotics in the game bother with guns – Jack doesn’t pick up a shotgun during her escape from Purgatory, Liara doesn’t always pack and Samara doesn’t seem to bother with even carrying a weapon unless she’s on a commando operation along with Shepard’s troops. Not having a gun should leave Jack and early-during-the-game Samara unable to demolish heavy defenses and would thus make them sitting ducks against, say, a shielded person. Yet, this is not the case. The individual writeups thus make reasonable hypotheses based on the reasoning above, and feature abilities that are not used in-game-engine by those characters. In DC Heroes, on order to reconcile the differences in how ME2 biotics behave between the books, the comics, the game and the cut scenes in the game, we have opted for a Power Reserve-based approach for the most powerful characters. This makes it easy to rationalise the discrepancies – the biotic person simply chose to distribute their Power Reserve APs differently during that scene. It also enables biotic characters to do everything they’ve done in various media – but not at once. In practice, it also favours concentrating Power Reserve APs in a few suitable abilities at a time, matching the small power selections in Mass Effect 2. As noted in our Mass Effect Setting articles, we assume that the squad members are actually wearing hardsuits during operations. In the game they do not, leading to the impression that kinetic shields or biotic barriers presumably keep a bubble of air inside at the pressure, temperature, etc. that it had when the shield or barrier was formed. Squadmates wear a light respirator, presumably not to consume all the oxygen in the bubble. So why assume hardsuits ? In a more open RPG environment, what is seen in the game is problematic. The decision not to wear armour makes zero sense, and one starts wondering what happens when the shield or barrier gets destroyed. Logically, this should mean exposure to the environmental hazards and quite possibly instant death – making not wearing a hardsuit even more absurd. There’s also the matter of shields and barriers not working this way in all the explanations we’re given – they shouldn’t prevent most gasses exchanges. Even the old fantasy trope of not wearing armour to be lighter and faster doesn’t help – hardsuits do not appear to slow anyone down much, and unlike fantasy Mass Effect includes lots of operations in deadly environments. For coherence’s sake our game stats assume hardsuits for everyone. A halfway stance would be to make exceptions for Jack and Samara – they might have some ill-defined biotic life support technique thanks to their great power. It does not solve the coherence issues, though (wouldn’t being knocked unconscious in a hazardous environment mean instant death as this power cannot be maintained ?) and all it brings to the table is keeping these characters in skimpy clothing. 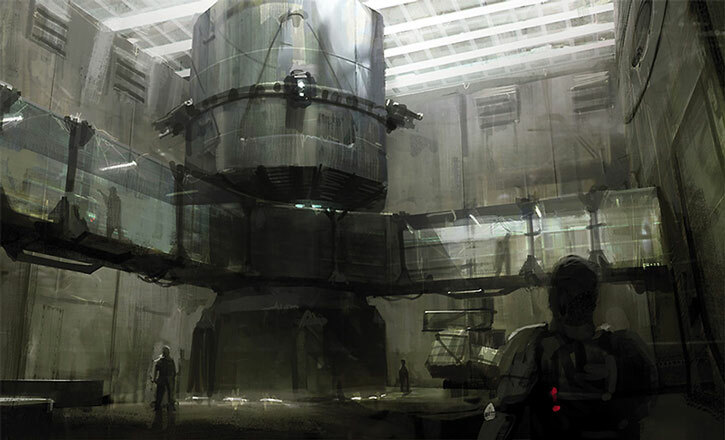 Bioware concept art for Tuchanka . A biotic pull lifts its targets into the air and sends them drifting helplessly toward the biotic person. In firefights, it is most commonly used to yank opponents out of cover and turn them into floating ducks. It is very difficult to take any meaningful action while floating in the air in this manner. To Pull a target, a Character makes an Action Check using the AP of Power as the AV/EV against the target’s DEX/STR as the OV/RV. The following Powers can be added to the RV — Joined, Growth, Density Increase, Gravity Increase. Active APs of Shrinking, Diminution, Gravity Decrease and certain types of Dispersal will normally increase the EV. If the target has active ME2 Defense of any type, the RAPs are not applied. Instead, they damage the ME2 Defense by (RAPs minus the Weight of the target), but the biotic pull cannot take place as long as APs of ME2 Defense are active. At the GM’s discretion it is possible that defenses such as Force Field or Force Wall might react in a similar manner. If RAPs of Biotic Pull can be applied against a target, it is Floating – see below for what it entails. Furthermore, the target will gently drift toward the point of origin of the Biotic Pull, with 0 APs of speed (about two metres or yard per Phase if you need to keep track of the exact position). If the target reaches the point of origin of the Biotic Pull, they continue in a straight line. Note the formulation “point of origin” – the biotic person who did the Pull might have moved since, but the point of origin doesn’t. It lasts for a number of Phases equal to the RAPs minus the target’s weight. The target is lifted in the air to a height of 4 metres or yards, minus 1 metre/yard per AP of weight, plus 1 metre/yard per RAP. When the effect stops they fall from this height. While the effects lasts, the weight of the target (in APs) is reduced by the RAPs, with negative APs being acceptable. This can be important if another weight-dependent effect hits them. The OV of all Dice Actions for the target is raised by the RAPs of Biotic Pull whilst the effect lasts, with a minimum penalty of +4 OV. The OV of Physical and Energy attacks against the floating target is lowered by the RAPs, but Floating persons have a minimum OV of 04 – and might be out of reach of melee attacks. If the target is capable of moving without touching the ground (e.g., Flight – though Gliding doesn’t qualify), they may attempt to break the effect every Phase by pitting this movement ability against against OV/RV equal to RAPs/RAPs of Biotic Pull as a Dice Action. Any positive RAPs break the effect. It is common for weaker biotic persons to take this power with a Limitation that it can only be used every third Phase (-2) or every second Phase (-1). Some powerful biotics might have it with the Bonus of an Area of Effect (usually zero APs). This is a heavily modified form of Glue. Our Mass Effect biotic lift was a sort of tug-of-war ; since Mass Effect 2 biotics have a much shorter cooldown this approach didn’t fit and some sort of fire-and-forget Power was needed. The height of lift when Floating is not expressed in APs so as to a/ prevent a very good roll from sending people dozens of feet in the air, which doesn’t quite happen in the game and b/ have a more precise scale to determine whether cover still applies. As usual the Power is written to function in a less all-or-nothing manner than the video game ability. It can last much longer than in the game (since action is slower in DC Heroes) but a Floating person can act to some extent. As usual the Power description is in the rulesbook format and assumes that Powers are their own AV, whereas our writeups assume that they’re not. Biotic Pull seems to be fairly common technique for well-trained biotic fighters, though it is of limited effectiveness against well-protected opponents. 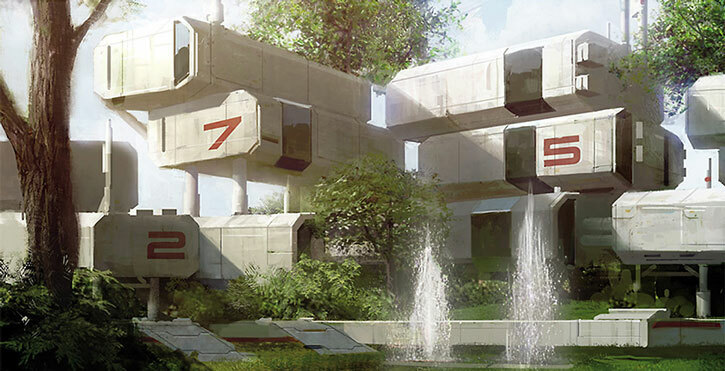 Bioware concept art for Horizon . A biotic singularity is a sphere of Dark Energy, which visibly distorts space and gravity around it. It can be hurled afar, and objects and person that are close, or get close, to the sphere will be sent helplessly floating in the air in a loose orbit around it. The Singularity will generally hit the target point without a roll, though if some accuracy is needed (say, to lob it through a window without much time to aim) the GM might require a roll using DEX/DEX on the Difficulty Table. ME2 defenses will take damage as per a Biotic Pull, but do *not* prevent the Floating effect. The persons Floating do not float toward the point of origin, but follow a sort of lazy ellipse around the Biotic Singularity. The length of the ellipse seems primarily determined by their velocity when they entered the Area of Effect. Biotic Singularity is usually taken with with a Limitation that it can only be used every third Phase (-2). However, it is also frequently bought with a Mental Blast that is Combined and Active Throughout the Biotic Singularity, and uses the Singularity as its Carrier Attack. Both Dr. T’Soni and Matriarch Aethyta state that their Singularities can kill, but this isn’t quite how it works in the game. The Mental Blast rider is our suggested approach to re-integrate the damage that a Singularity supposedly inflicts. Singularities are presented as an advanced technique. Throughout the single-player game the only persons who can perform it are Liara, Aethyta and certain versions of Commander Shepard. 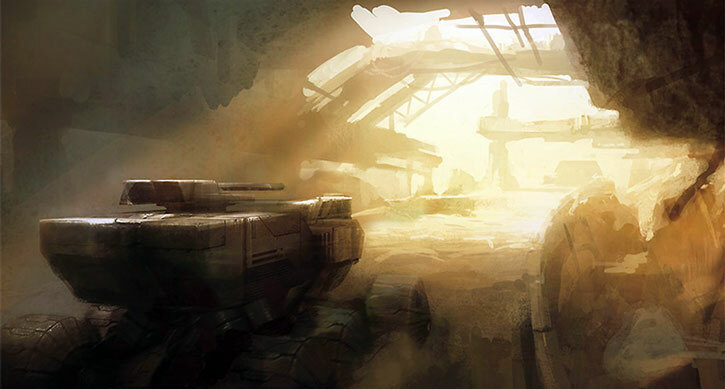 Bioware concept art for the Purgatory . Note: This Power is different from the Biotic Warp power, which was describing the power in the first Mass Effect. This form of biotic warp is a discharge of Dark Energy that disrupts space, matter and energy at the impact point. Use of this Power constitutes a Physical Attack with APs serving as both AV and EV, and uses biotic energy. ME2 Biotic Warp affects heavy armour and barriers normally, but the RV of ME2 Defense (Shield) is increased by 2 CSes against this attack. A ME2 Biotic Warp will explosively disrupt hostile Mass Effect fields, such as a Biotic Singularity or a person or object under the effect of a Biotic Pull. If a Warp hits such a field (even if it doesn’t inflict RAPs), a Bomb Power immediatly occurs at the impact, its APs being the same as the APs of ME2 Biotic Warp. Some particularly aggressive and powerful biotics have APs of Disintegration that are Combined with their APs of ME2 Biotic Warp. 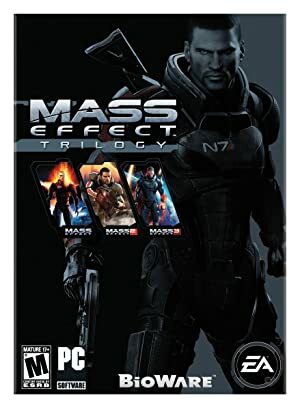 Source of Character: The second game in the Mass Effect video game trilogy — and ONLY the second game.